Afghanistan national Budget for the FY 1397 has been subjected to some notable changes pertaining to budget allocation particularly developmental budget. The draft has been prepared based on international standards of Government Financial Statistic (GFS) and Classification of the Functions of Government (COFOG) aimed to enhance transparency and achieving a better budget expenditure. 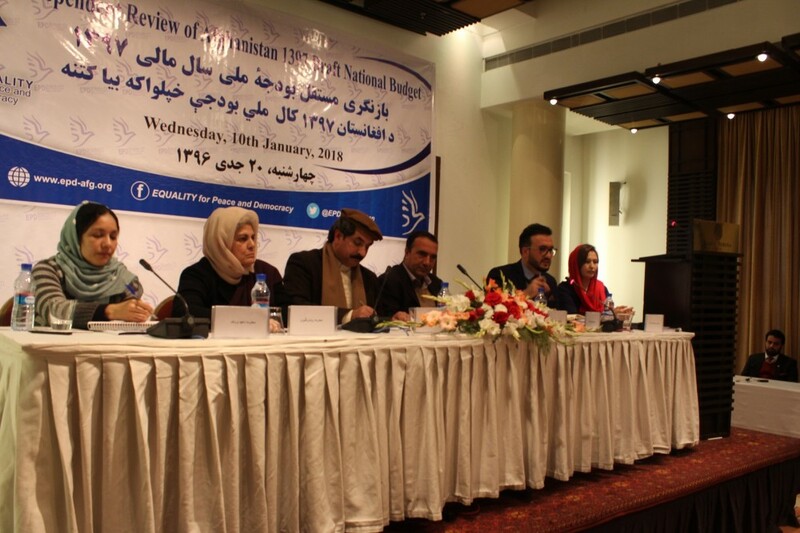 On 10 January 2018, EQUALITY for Peace and Democracy (EPD) launched the “1397 Draft National Budget Review” in an event which was attended by over 50 representatives of government officials, national and international organizations, media and civil society. It is the seventh annual report that is published and provides a snapshot of resources, allocations, and Public Finance Management Performance (PFMP). With this annual review, EPD aims to present a simple and coherent review of the budget so that people can understand the budget and what it means for their daily lives and review the quality of services via allocated resources. This independent budget research report also provides details to Afghan parliament to review and approve the national budget. 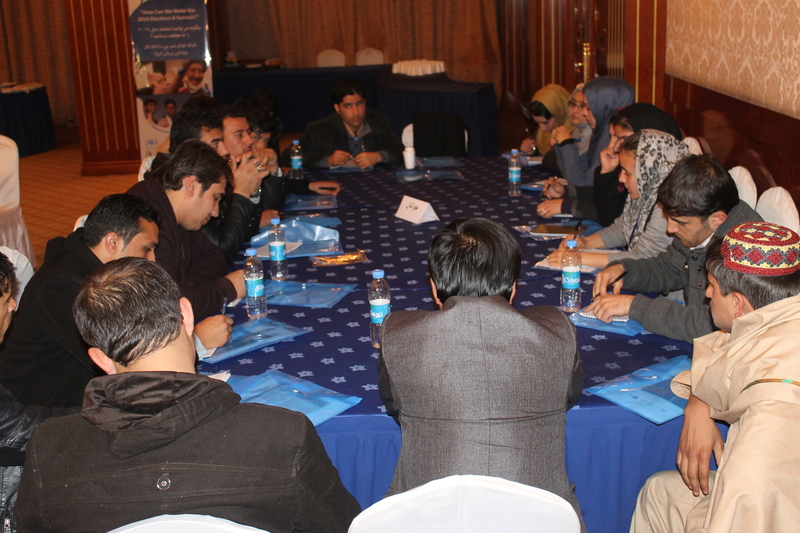 The process furthermore, can play as platform for input on national budget planning from a civil society perspective. EPD’s launch event covered presentation on the main findings of the research report and a panel discussion followed by a Q & A session. 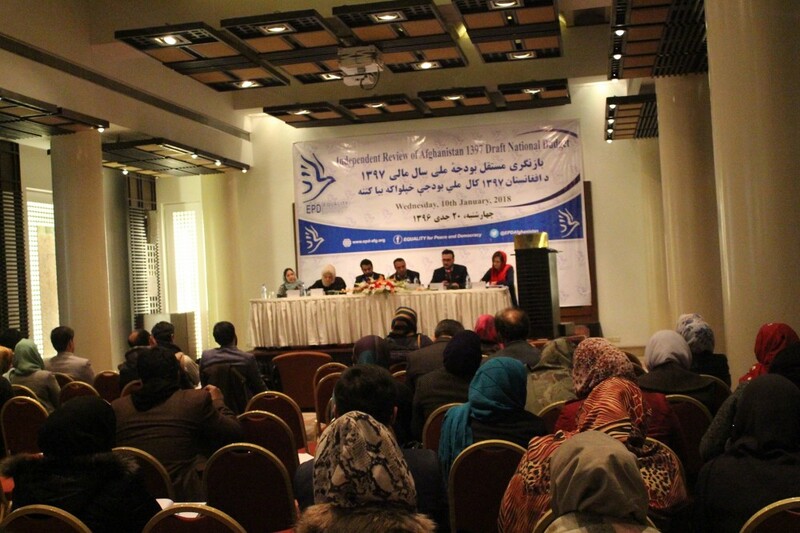 EPD was honored with participation of distinguished panelist; Mr. Kamal Safi; Parliamentary Member, Mr. Naveed Ahmad Niaz, Director of National Budget Planning and Reform, Mr. Din Mohammad Nasrat; Budget Advisor at ALBA, Nahid Wardak, Head of Policy & Planning at MoWA and Ms. Roshan Sirran; Head of Training Human Rights Association for Afghan Women (THRA. The panel discussion highlighted the government’s progress in providing a more realistic budget and financing it through domestic revenue. It was also mentioned that however the government had significant progress in revenue coaction but with the predicted declining trends of aid, the government may face huge gap in fiscal sustainability. In comparison to the previous years, the overall core budget has been decreased drastically. Considering unforeseeable security situation in Afghanistan, the 1397 budget is very limited. Most of foreign countries are enforcing policies of refugee reversion and if the security situation improves, Afghanistan will confront with reversion of returnees while still the government doesn’t not have enough budget to host them. While there has been steady progress made to increase domestic revenue, projections remain well below the total amount of revenue required to meet future recurrent costs. The demands on national resources will continue to rise, and for the foreseeable future, the cost of maintaining security will be beyond the capacity of the tax system to meet.